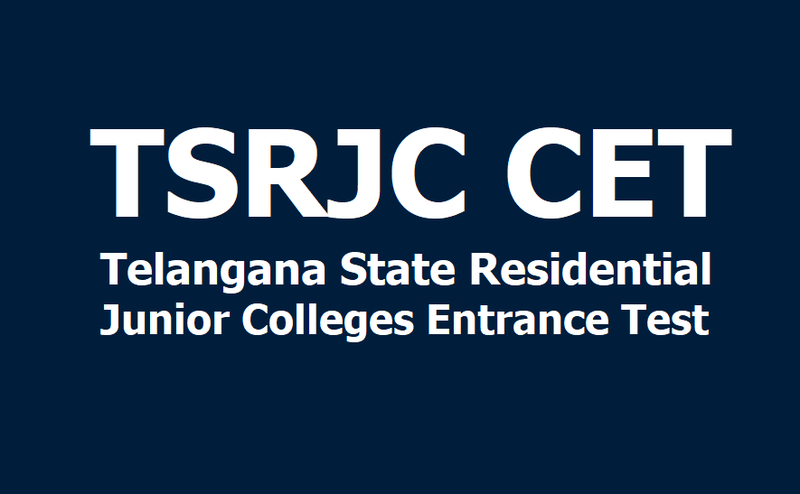 TSRJC CET 2019 /Telangana Residential RJC Entrance Test 2019. #TSRJC CET 2019/ Telangana Residential RJC Entrance Test 2019/ TSRJC Common Entrance Test 2019 : Telangana Educational Institutions Society has issued TSRJC Common Entrance Test 2019 Notification in March 2019. Residential Junior College Entrance Exam 2019 for Candidates seeking admission into Inter I year in its TS Residential Junior Colleges and College of Excellence ( Center for Competitions) in for the academic year 2019-2020. TSREIS invites online applications from the eligible candidates for admission into Intermediate courses in its TSRS Junior Colleges. #tsrjccet 2019 online application form, results, hall tickets, last date for apply online, exam date, Telangana rjccet 2019, treis rjc entrance test 2019, gurukulam Junior college admission test details are given here. b) Must have passed the qualifying examination in first attempt in March/April 2019 only. Candidates who have passed in earlier years are not eligible and need not apply for this entrance test. The Hall ticket Numbers of the shortlisted candidates for counselling shall be made available on the websites: http://tresidential.cgg.gov.in , http://tsrjdc.cgg.gov.in. Candidates will be shortlisted based on merit in the Entrance Test. Candidates will be called for counselling for allotment of seats for admission in the ratio of 1:5. Date of First counselling : ...06.2019. The jurisdiction for any appeal to be settled is in Hyderabad city courts only. The reference period for such appeal is before the completion of admissions of academic year 2019-2020 or before the last date of admission into first year intermediate as announced by BIE, Hyderabad. 1. Submission of online applications start From 12-03-2019.